The Christie Lodge prides itself on offering those special touches that help you make the most of your Rocky Mountain vacation. 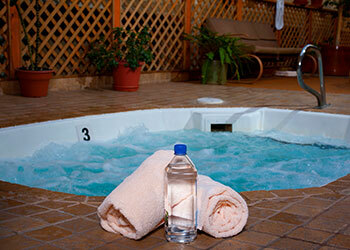 Soak away your cares in one of four hot tubs or our indoor and outdoor heated swimming pools. Relax on comfortable lounge chairs around our gas fire pit. Gather the family for a summer tradition at one of six outdoor picnic areas with gas grills. Work out in our fitness center with treadmills, elliptical machine and free weights. Start some friendly competition on our ping pong tables or the Nintendo Wii in our kid's activity center. Two restaurants, free shuttle service to Avon, concierge services and a business center make it easy to relax while you enjoy the stunning Vail Valley.